Kevin: "I once accidentally bought a horse." Series 4 Episode 3. David Mitchell is joined by Keeley Hawes and Stephen Mangan, while Lee Mack is joined by Kevin Bridges and Professor Brian Cox. Absolute cracker!!! Haven't laughed this much in ages.. But what about the big question, what did they do with it? It would take 25mins just to board the thing! Is that woman the Home Secretary I’m Bodyguard? Keeley Hawes? What did he do with the horse!? Kevin's delivery of this story,combined with his Scottish accent,is a cracker. i think him saying it's true was the lie? wait, how many caption sets? I'm finding myself wanting to know...what happened to the horse in the end??? ...am I somehow weird because I find the overall story pretty plausible and not too crazy? Kevin, Kevin, Kevin: look at me! Can you do like a top ten of the best stories that were actually true or something? Would love that! Or like a general best off! I’ve watched this probably for the millionth time now and I just gotta say the proud look on his face in the end makes this even better than it already is! Congrats Kevin, you are a worthy successor to the great Connolly! This just builds and builds and gets funnier by the sec! This show is hilarious. Thank you from Canada. I feel sorry for Kevin, he must've felt so embarrassed when everyone was laughing at him cause of his English speaking, I'd reckon it's not even his first language, yet it is for everyone else on the stage. He's from Glasgow. I'd be surprised if English wasn't his first/only language. 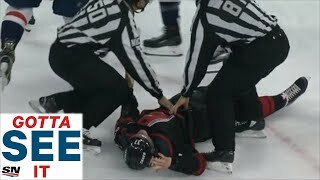 Out of all the clips I've watched this is my favorite! Hilarious and obviously a true story. Darn. Brian Cox looks like hes having a heart attack. I think Kevin Bridges knew what he was doing. He needed to spin them tripe to make they vote a lie. Ha! ha! I wanna know what happened! There are always clues that allude to a story being true, unless the storyteller is a true master of improv. The smaller details give it away. Whose first destination choice is Bulgaria if it were a lie? The more specific and unusual the details, the more likely it is to be true. Though there have been exceptions on both ends. So no one would ask this dude about what he did after he realized for certain "I know own a horse" ? Oh man, I've watched this a dozen times, it's the funniest bit of this show! This is some of the greatest TV I've ever watched. I would like to make a romanian transcript of the video. +WILTY? Nope! Thank you! 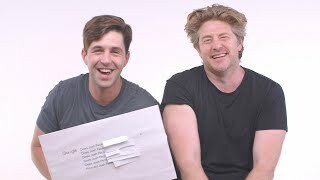 It's a great show and (I think) this is the best bit so I wanted it to reach more people. Im laughing so hard. 😅🤣🤣🤣🤣👍 best show. Greetings from germany! You could make up any shite and say it's true? Funnily enough, this seems like a story that could have happened in one of Keeley’s Durrells episodes. I don't think anyone can. One of the funniest bits of this programme I've ever seen !!! This entire episode exudes absolute class. Each panel member, Rob, and the entire audience seems to have enjoyed the entirety of the show, with Kevin’s bit being the absolute cherry on top. I remember watching this for the first time years ago and I actually shouted when he said it was true. I still get that reaction to this day. the biggest tragedy is that we never actually find out what happened to the horse. Did Kevin keep it? "There was a bit of a communication breakdown, there was a Bulgarian guy trying to speak English, and two Scottish guys trying to speak English..."
This story is nothing without the phrase " the guy explained to us he was gone", because at that point people "knew" Kevin was an idiot so it "had to be wrong". It then drives David on relentlessly adding multi layers of comedy. "Unbelievable." It's like the entire series was written just for this story. the first time I ever saw this, I immediately said 'True!' when Kevin made his statement. lol the gesture Rob does at David at 6:12 like saying: "don't make a whole new rant about this!". 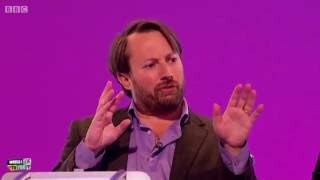 Epic WILTY bit. Honestly didn't expect to have Estonian captions for this. Glad I can show it to my parents! Bulgaria must be the best place in the world if you rent a horse and end up keeping it. Keeley Hawes face when Kevin Bridges says that it's true. +Knighta Nine I need the uncut version now more than I need my next breath. +Aditya Venkataraman You mean the two guys inside the horse costume? Knighta Nine If that's true, they cut it amazingly well and it makes sense why Rob said, "Kevin Bridges, for the love of God..." But if that's the case, I wish they'd release the full length of the show! Knowing Kevin I figured it was true the whole time. I absolutely believe that his accent could have screwed anything up. Tony - "This is my..." Feat. Kevin Bridges, Lee Mack and Katy Wix - Would I Lie to You? [CC]WILTY? Nope! Did Lee Mack skip Prince Harry's Wedding because of Would I Lie to You? [HD][CC-EN,FR,NL]WILTY? Nope! Did the Interpol list Henning Wehn as a missing person? - Would I Lie to You? [CC-AR,EN,SV,NL]WILTY? Nope! Was Henning Wehn arrested for illegally entering a country? 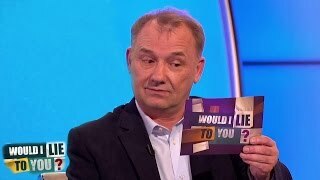 - Would I Lie to You?[HD][CC-EN,RU,ET]WILTY? Nope! 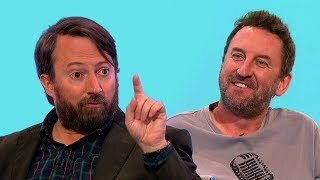 Did Lee Mack pretend to have fallen off a ladder to avoid going to Ikea?-Would I Lie to You?[HD][CC]WILTY? Nope! Did James Acaster try to drown himself because he didn’t get the gift he wanted for X-mas? [HD][CC]WILTY? Nope! A Whimsical RollAcaster - James Acaster on Would I Lie to You? [HD][CC]WILTY? Nope!